…is what I often like to say to my fellow watch friends when they start again asking the same silly questions about Cartier. 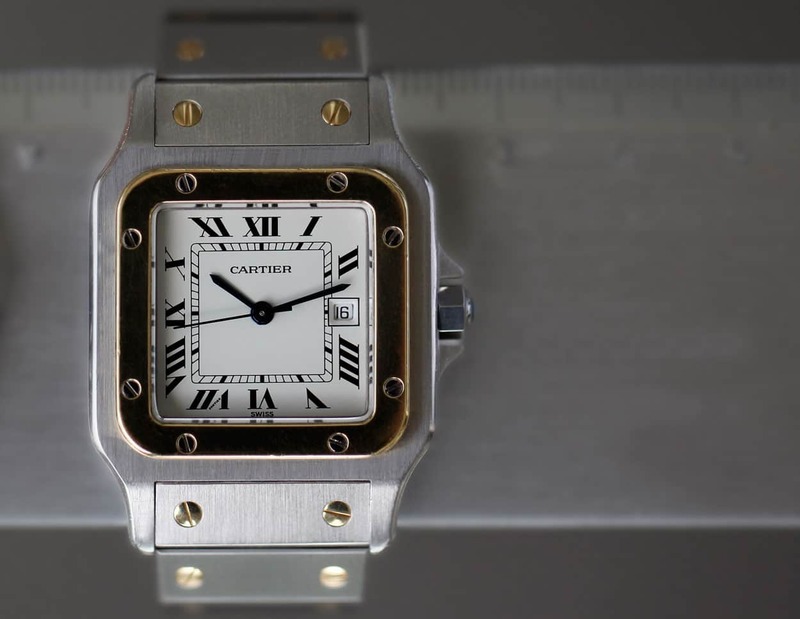 It was 1983 or 1984 when I bought my first real watch; the Cartier Santos. That was, of course, the square watch in steel with yellow gold lunette and steel bracelet with yellow gold screws. It was hot like hell and became the most copied watch. It was also that watch that made me interested in the history of the brand since the dealer told me that the design was inspired from the first men’s wristwatch, launched by Cartier in 1904. So you can imagine that it did not take long before I became obsessed with watches in general, especially with Cartier. Cartier was aware of the fact that men, interested in, let’s call them, ‘the better watches’, were more educated about timepieces, than the average Cartier client was and that these men were also more interested in the quality of the movements. That resulted in 1998 in the launch of the, at the male consumer targeted, ‘Collection Privée, Cartier Paris’ series. A collection of limited edition and limited produced watches, housed in Cartier’s classic cases like the Santos, Tank, Tortue, but more important, powered with high-end mechanical calibers made by famous watch brands, for Cartier. Piaget, JLC, Frederique Piguet, Gerald Genta and others all delivered these quality calibers for this top of the line series. 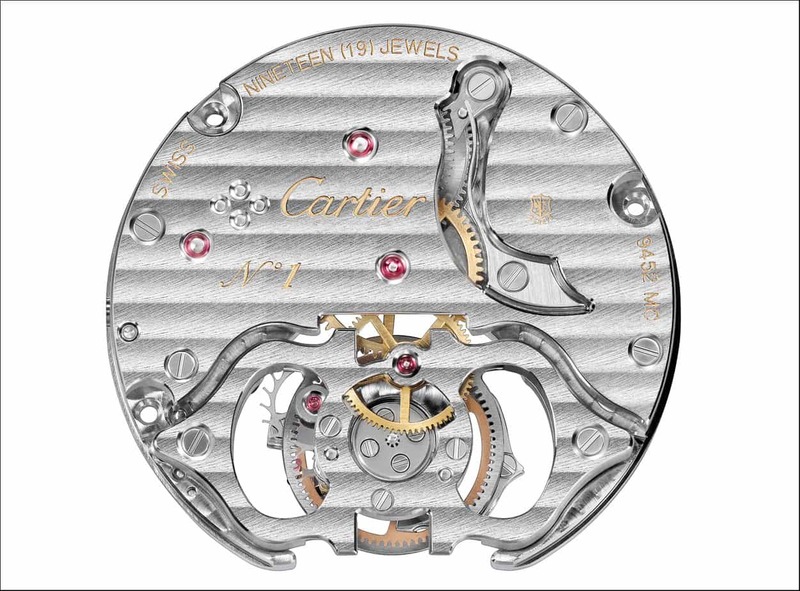 The excellent finishing of the movements, was done by Cartier and was visible through the back, since many of the models had a glass back, to see the movement. A feature that was pretty unusual at that time. Collection Privée was, however, too limited in quantities to be a real success, since many of the models were only produced in 100 pieces, while Cartier had already over 200 brand Boutiques at that time. One would expect that my WIS (Watch Idiot Savant) friends at the GTG meetings would be excited about the pieces I showed, but that was only partly the case since another trend had become popular among these guys; ‘in-house movements’. A grail watch needed to have an in-house movement to be the real thing (deal). During the Collection Privée period, 1998 – 2008, Cartier often faced problems in getting all the parts from their suppliers and it often happened that a watch was released later than planned, due to the fact that some parts were not available in time, to finish the watch. So besides the fact that an in-house movement was becoming more and more important, Cartier realised very well that to be really successful and reliable in the world of high-end watches, they had to produce not only their own calibers, but also as many parts as possible, like the case, springs, rotors, dials, hands, glass etc. Cartier built, during the Collection Privée period, a huge – over 30.000 square meters – manufacture in La Chaux-de-Fonds (see our coverage here) and started to work with a selected group of watchmakers on a follow up project to be launched in 2008, all led by Carole Forestier-Kasapi, the genius watchmaker that was hired in 2005 and had worked at Audemars Piguet (Renaud & Papi) and Van Cleef & Arpels. This very modern and high-end manufacture is now together with the Rolex and Omega manufacture, the largest in Switzerland! 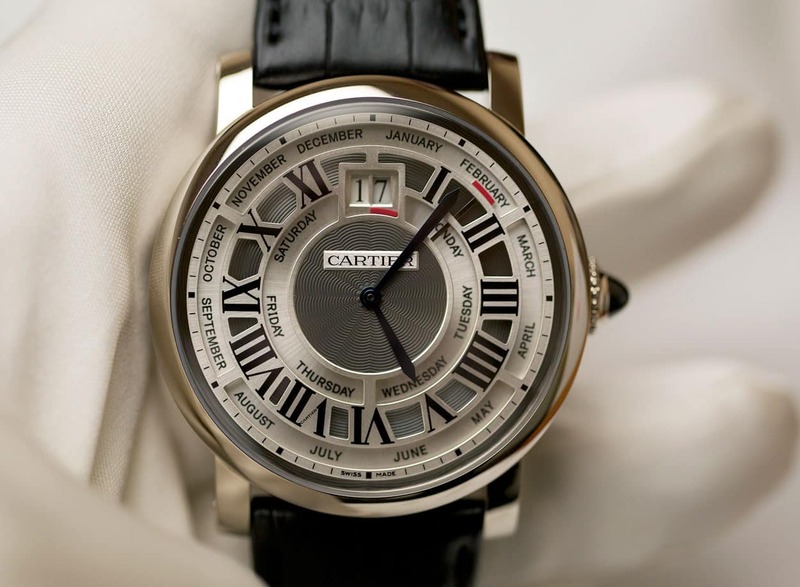 The very first result of Cartier’s high-end watchmaking was presented in November 2007. 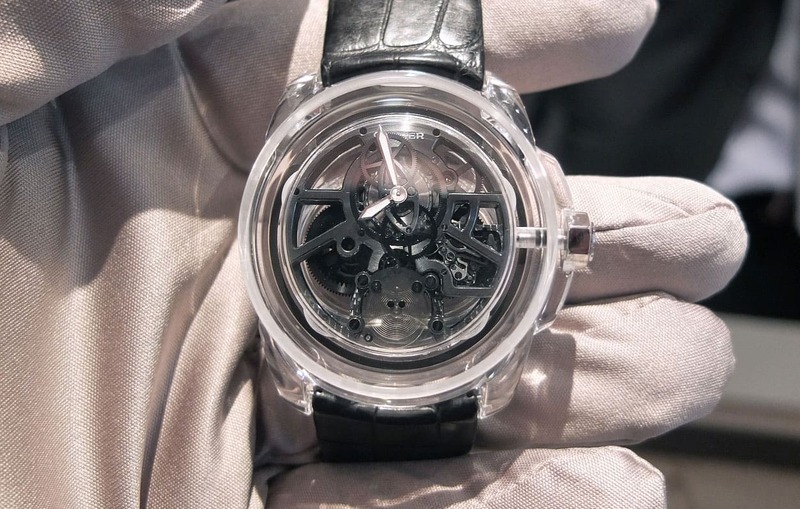 A – by Carole Forestier-Kasapi – developed Flying Tourbillon caliber was shown to the press. Unfortunately, the watch was housed in a 47mm over-sized Ballon Bleu case, following the large watch trend. 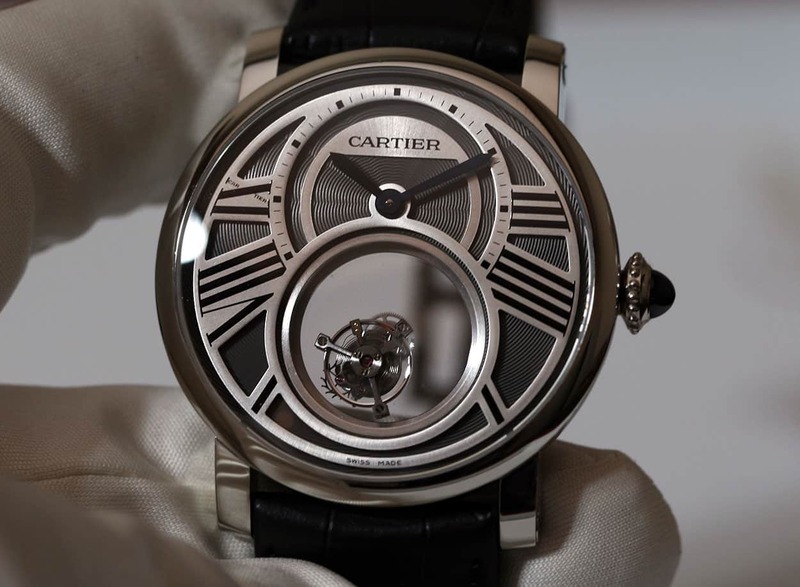 Since the release of that Flying Tourbillon, Cartier didn’t rest on their laurels. While other top brands like Audemars Piguet were taking it quietly and pleasing the watch fanatics with ‘Offshore’ after ‘Offshore’, year after year, Cartier made over-hours and invented new materials, new calibers and surprised the press every January at the SIHH with real novelties. 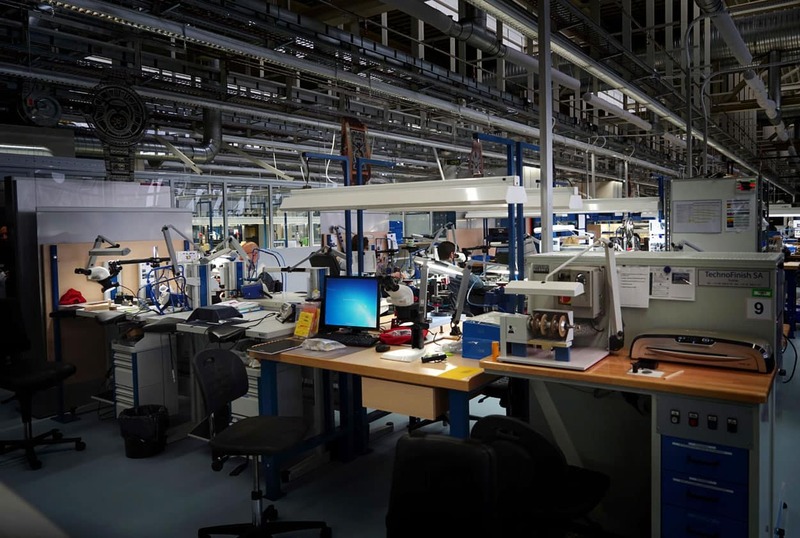 In 2009, and again in 2012, Cartier even invited over a hundred journalists from around the globe and flew them into La Chaux-de-Fonds, to present the ID-ONE and ID-TWO watch at their manufacture. Two prototype watches that would never hit the market, but were created for research and – of course – to show the press how far ahead Cartier was in fine watchmaking. In a nutshell; the ID-ONE is the first watch that would never need any kind of service of what’s so ever! The ID-TWO is the logical successor of the ID-ONE and it takes us a few steps further, in Cartier’s new way of ‘high tech’ watchmaking. This timepiece is capable to store energy much more efficiently than conventional watches, it uses less energy and it distributes the energy in a much more effective way. It needed to prove that the reliability, efficiency and accuracy of a mechanical or automatic caliber could be improved. The ID-ONE and ID-TWO were created to bring the Cartier’s watch collection to an even higher level in the very near future and in fact, Cartier’s collection is now already benefitting from these inventions. 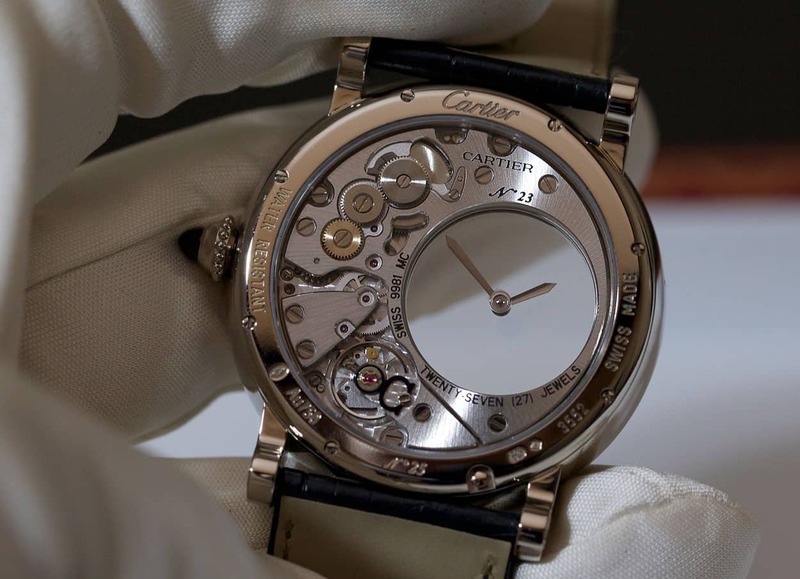 Since it is actually a bit scandalous to find out that even the well-known watch collectors don’t always have a clue what Cartier has achieved during the last 8 years, I wrote this brief summary to give an idea how Cartier has developed to a high-end watch brand. And to illustrate my words, I will go through the collection, to highlight just a few ‘must-know’ timepieces, in order to get all the quartz- and ETA nonsense, where I am constantly confronted with, out of the way and to let you think differently about the brand that has been dominating the watch industry for years with amazing designs but will keep on dominating the industry with their on-going inventions. 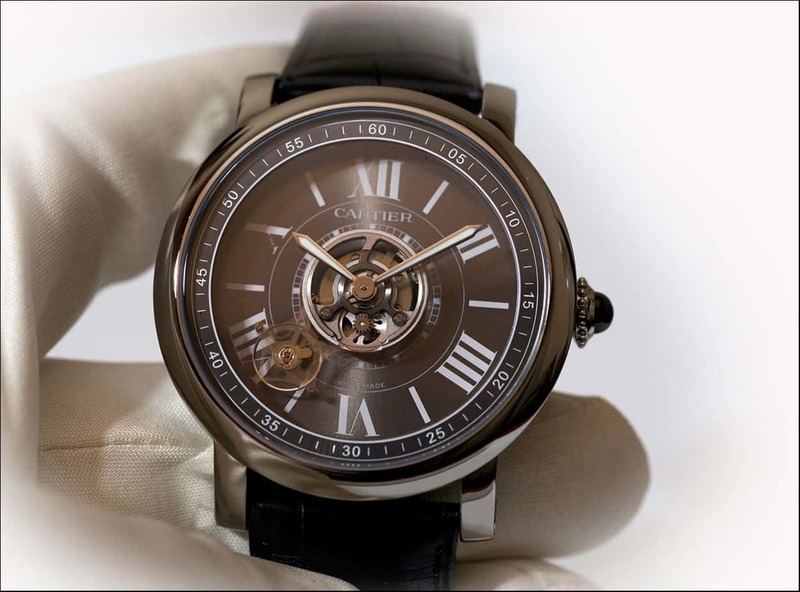 Cartier presented their first high-end Flying Tourbillon movement (caliber 9452MC) in 2007. This was the caliber that received the first Geneva Seal for Cartier. Unfortunately, the movement was presented in a too large 47mm Ballon Bleu case. But in the meantime, much more wearable 40mm Rotonde and gorgeous Ballon Bleu Flying Tourbillon models have been launched. A very important development was the automatic 1904MC caliber that was presented in 2011. A thin automatic caliber with 48 hours of power reserve, featuring the time with a subsidiary seconds dial @ 6 and a date complication. 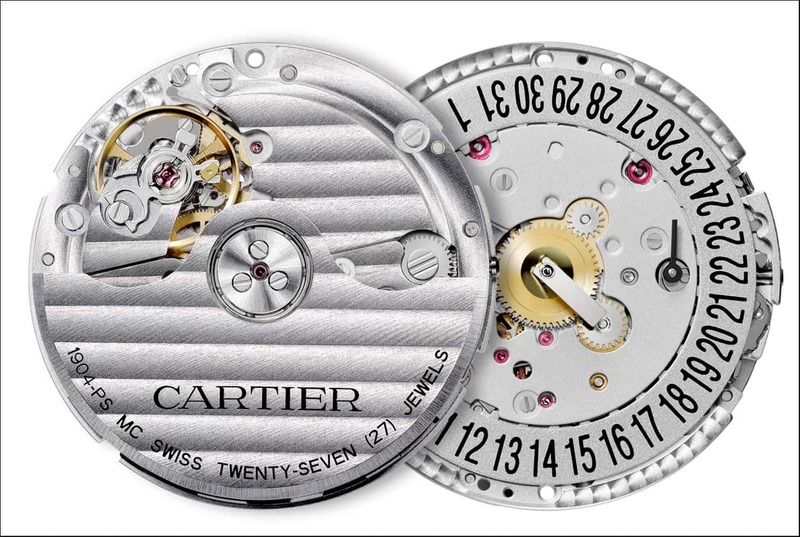 Cartier made sure that it had enough differences in comparison to most of the base movements offered by ETA. The ‘Calibre de Cartier’ was the first watch that was powered with the 1904MC, but soon after Cartier started the use the caliber as the base for various Chronographs and Perpetual Calendar calibers. The new Calibre Diver, that was launched last year, is also powered with the 1904MC. 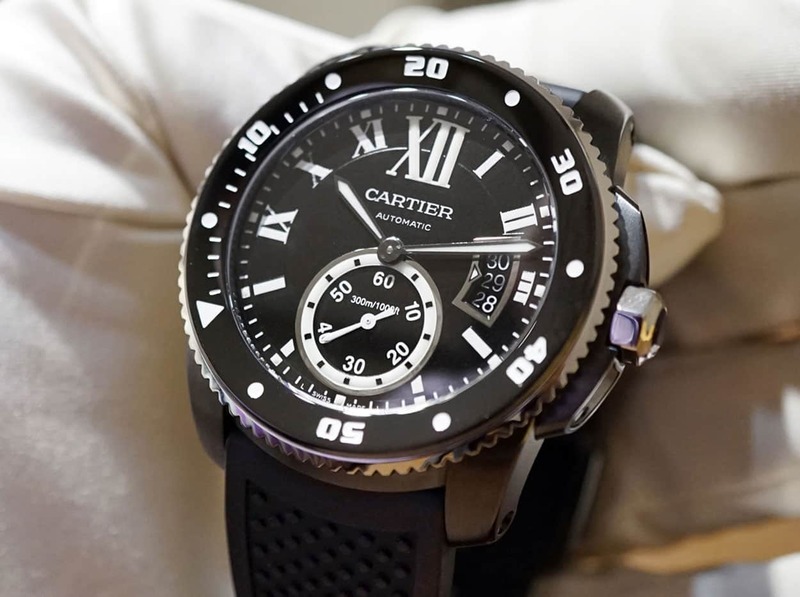 It is the first diver watch for Cartier and is, believe it or not, the slimmest Diver in the world. The case diameter is 42mm and the watch has a height of just 11mm. For a diver watch that’s really flat, when compared to – for instance – the famous Rolex Submariner that has a height of 12,5mm or the Rolex Sea-Dweller DeepSea that measures 17,68mm. As it should be, the back of the case is closed and the bezel is self-lubricating and unidirectional, steel coated with ADLC, a material that is harder than steel. The sapphire crystal that is 1.2mm thicker than that of the regular ‘Calibre de Cartier’ model, makes sure that it can withstand the water resistance of 300m, which is the same as the Submariner and better than the 100m water resistance of Panerai models in the same price category. A watch that directly took benefit from the technology of the ID-ONE is the Astro Tourbillon Carbon Crystal that was presented in 2013, in a limited edition of 50 pieces. This new ‘Astro Tourbillon Carbon Crystal’ was released in a Niobium-titanium case, a lightweight and non-magnetic alloy, that resists corrosion, scratches and shocks and it has the carbon escapement of the ID-ONE. This watch is the Worlds first escapement adjustment-free and lubrication free tourbillon. If service on the movement can now be reduced to (almost) none, the sky will be the limit for the future generation of Cartier’s tourbillon models. The handsome looking Rotonde Annual calendar with grande date and automatic in-house caliber 9908 MC, is an example of a complicated movement that’s based on the 1904 Caliber. All corrections of the watch can be made via the crown and only needs one correct per year. This Santos Dumont Skeleton (below) was after the Santos 100 skeleton, the second model that featured the new 9612 MC mechanical skeleton caliber. A very eye-catching watch that comes with a white-, pink gold or ADLC coated titanium case. The skeletonized bridges are in the shape of Roman numerals and are, in case of the all-black version, ADLC coated. It has very wearable dimensions of 38.7 x 47.4mm. The Rotonde de Cartier Mysterieuse (below), in 42mm, is a prime lead where history meets technology. Cartier was the first brand in presenting a mystery clock in 1912. 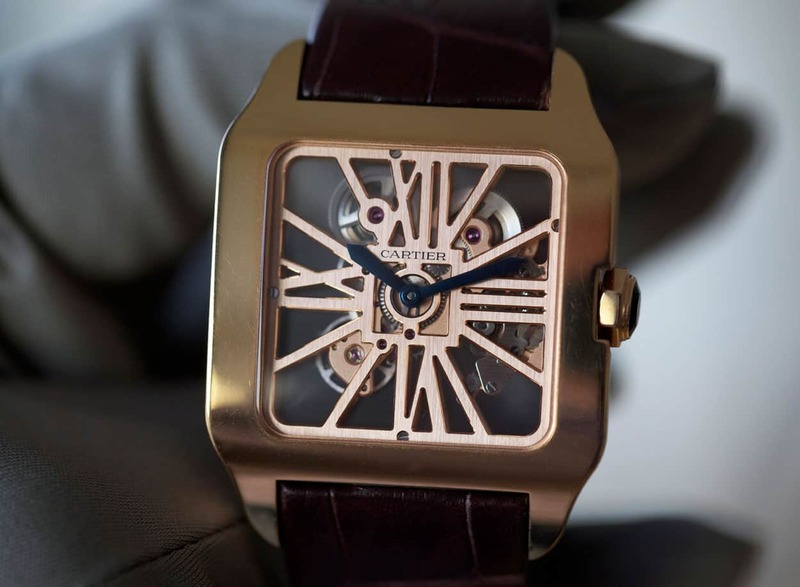 It was developed by Maurice Coüet for Cartier. 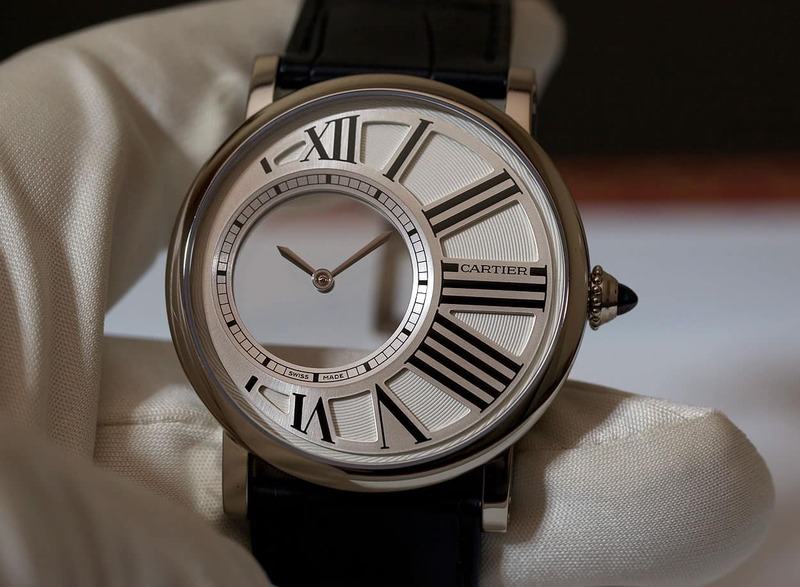 Hundred years later Cartier built especially a new in-house caliber for their Mysterieuse watch, a caliber that was built around sapphire crystal dial with the floating hands. Cartier’s watchmakers had to overcome difficulties like driving of the sapphire discs with the minute hand and the one with the hour hand plus the friction between them. Instead of adopting the system that was developed by Maurice Coüet for the vintage Mystery clocks, Cartier did it on its own way and decided that they should turn on light pivots, actually like wheels in a gear train. To take the invention a step further La Maison also developed the platinum Rotonde de Cartier Mysterious Double Tourbillon. A timepiece that is aesthetically so impressive, that the large case of 45mm doesn’t really matter anymore. The flying tourbillon turning once on its own axis, every minute, is eye-candy. Completely moving free, in a see-through round chamber, without any visible connection to a gear train. An amazing piece in 2010 was the Rotonde Grande Complication. 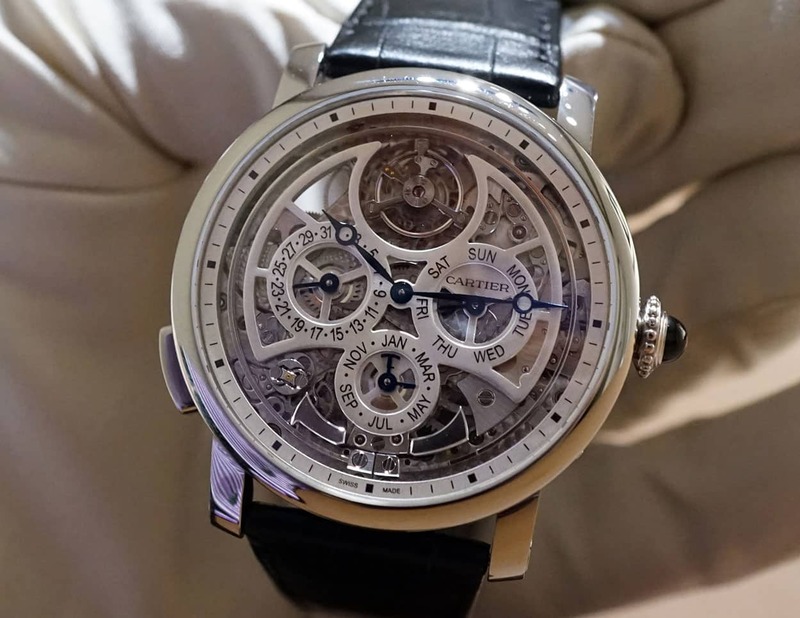 This year, however, Cartier prepared a huge presentation for the press, to introduce the 2015 version of the Rotonde Grande Complication (below), by no means another dial colour, or different case, but a completely different watch with Perpetual Calendar, Minute Repeater and Flying Tourbillon. Powered by the new skeletonized automatic caliber 9406MC, with a double platinum micro-rotor. The Grande Complication was rewarded with the Geneva Seal. Since 2007, Cartier’s team of watchmakers built (created) an impressive collection of about 40 different calibers, from the basic 1904MC to the very high-end complicated 9406MC. All watches in the top line have in-house calibers and within a few years, the whole mainstream collection will do too. Thank you for reading and don’t forget that the brand ‘your wife loves so much’, has changed into this genius watchmaker you should pay attention to when you’re interested in high-end watchmaking! 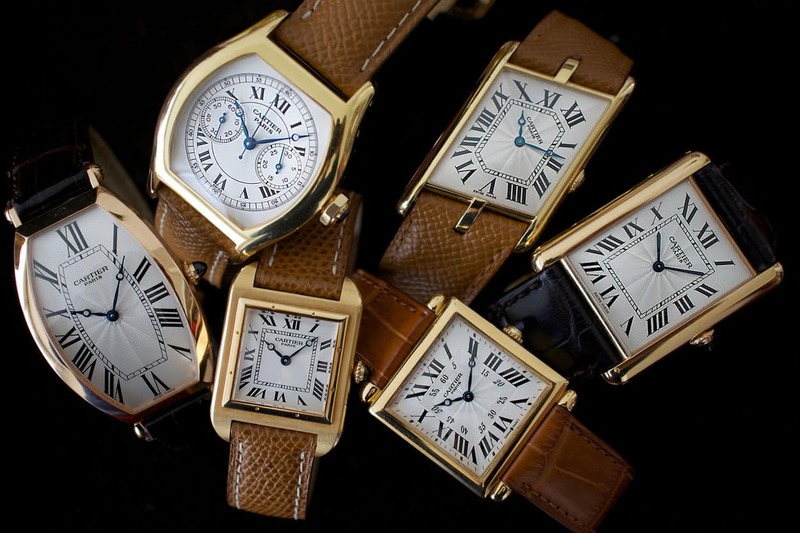 This article was written by long-time Cartier expert George Cramer for Fratello Watches. George is a contributor to Revo-Online, Revolution Magazine and runs his own website as well where he keeps track of his various contributions about Cartier and his other (main) interest, independent watchmaking. This article was published for the first time on April 29th, 2015.